Spokane County residents may want to avoid backyard sunbathing in April. That’s when county Assessor Ralph Baker wants to take a series of high-resolution, low-altitude aerial photographs that promise to make goose pimples visible around the globe. At least, the photos would show new swimming pools, cabanas, decks and workshops. Baker wants the pictures for updating property values and hopes to shoot them in April before trees leaf out and hide the evidence. He would post the photos on his office’s Web site as well as make them available to other government agencies – including the county Department of Building and Planning, which would be interested in construction done without permits. 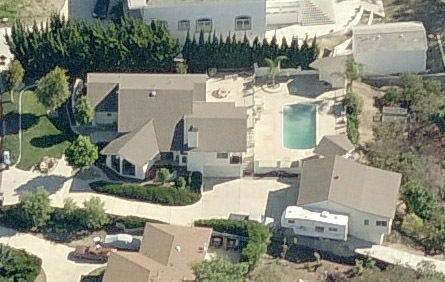 The assessor’s Web site already has ground-level photos of the fronts of homes and businesses throughout the county, but they don’t reveal much. The new aerial photos Baker proposed Tuesday would allow appraisers to see what’s behind fences and hedges without time-consuming site visits and confrontations with unfriendly dogs. Baker has access to high-altitude “ortho” photographs used in the county’s digital mapping program, but he said their straight-down view doesn’t offer much more than his curbside snapshots. He wants the oblique-angle photographs offered by a company called Pictometry International. Vice President Erin Ford said the Rochester, N.Y., company uses a patented process to provide five different close-up views of each property. County officials are unaware of any other company offering such court-admissible photography. The high-quality images would allow appraisers to measure structures. Contractors also would find the photos useful, Baker told county commissioners. A rain-gutter installer could prepare a bid without a tape measure. A roofer could calculate square footage without leaving the office. Police and fire agencies would find the photos helpful in emergencies, Baker added. However, no other public officials lined up to help pay the $180,000 biennial cost. “Everybody loves the data, but it’s tough economic times right now,” county digital mapping manager Ian Von Essen told commissioners. Agencies that are laying off workers can’t afford aerial photographs, he said. But that’s exactly why Baker wants them. He said the detailed views would help him cope with the loss of five appraisers and one support staff member since last year. Baker said his staff shrank from 54 to 48 because of a $347,523 reduction from last year’s $3.8 million assessor’s office budget. No one was laid off, but some junior employees jumped ship before they could be thrown overboard. With only 22 appraisers left, Baker is struggling to keep his own head above water. He said he has “no doubt” he will fall behind this year in his duty to reappraise properties every six years and estimate new values annually. Pictometry’s aerial photos won’t eliminate all on-site inspections, but they can help his staff cope, Baker said. Commissioners were sympathetic but said they couldn’t provide any money before next year. Chairman Mark Richard wondered whether efficiencies could offset the cost of the photo service by allowing further staff reductions. Baker said such a prediction would be “a gutsy move” he was unprepared to make. Commissioners asked Baker to look into the possibility of sharing costs with an Avista-led consortium that provides traditional orthographic photos for digital mapping. Von Essen said Spokane County participates in the consortium, and its share of the cost is $25,000 to $40,000 a year. He said Pictometry could provide those photos, but the price quoted to Baker would be doubled. Mapping programs need new photos annually, not every other year as state law permits for appraisal purposes, Von Essen said. Ford said Pictometry would help Baker get his photos this year and be paid for them later.